If you’re looking for a quick cash-flow boost in real life, then I can’t really help you. Maybe look at investments or something. I hear Bitcoin’s a thing. But if you need a few hundred thousand more for that GTA Online supercar you’ve had your eye on… well, I can help you with that. Here are the best sandbox games on PC. You can pick up a cool million dollars over the next seven days. All you need to do to collect it is log in, at which point you’ll be given a “state-sponsored gift” of $250,000. For every subsequent login over the next week, you’ll be gifted an extra $150,000 a day. Once you’ve added all of that up, it comes to $1,150,000 – not a bad return for just logging in. The rewards begin today, May 8, and daily login rewards can be accrued until next Monday, May 14, but you won’t get your money straight away – it’ll be paid into your account between May 15 and 21. If all that isn’t enough, Rockstar are also offering double experience and rewards on certain game modes. 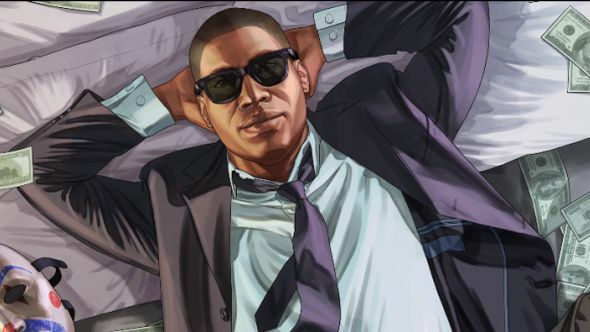 Contact Mission from now until May 14 will offer double RP and monetary rewards, as will Rockstar Stunt Races, meaning this is a good week to start saving up. You can read the full notes on this week’s GTA Online changes right here.